I am honored to attend The Third A3 Roundtable Meeting on Chemical Probe Research Hub which was held from Oct. 31st to Nov. 3rd in 2018 in Jeju, Korea. It was my great pleasure to have this opportunity to discuss closely with many researchers from three countries (Korea, China and Japan). I attended this meeting as a master student, and gave 3 minutes short oral and poster presentations. The topic of my presentation was “Synthesis and evaluation of ligands binding to C9orf72 GGCCCC repeat DNA related to ALS/FTD”. During the sessions, I received several insightful questions from researchers in other fields that made me notice different points of views on my research. They pointed out importance of ligand water solubility for cell-based assays and encouraged me to improve our synthetic ligands. Discussion during four days meeting was fruitful and inspiring for me to deepen understanding of my research. The A3 meeting provides valuable opportunities for graduate students to discuss their researches with foreign professors and students, which promotes intimate friendship and international collaboration. I hope that this wonderful program will continue to provide good stimulus for young scientists. 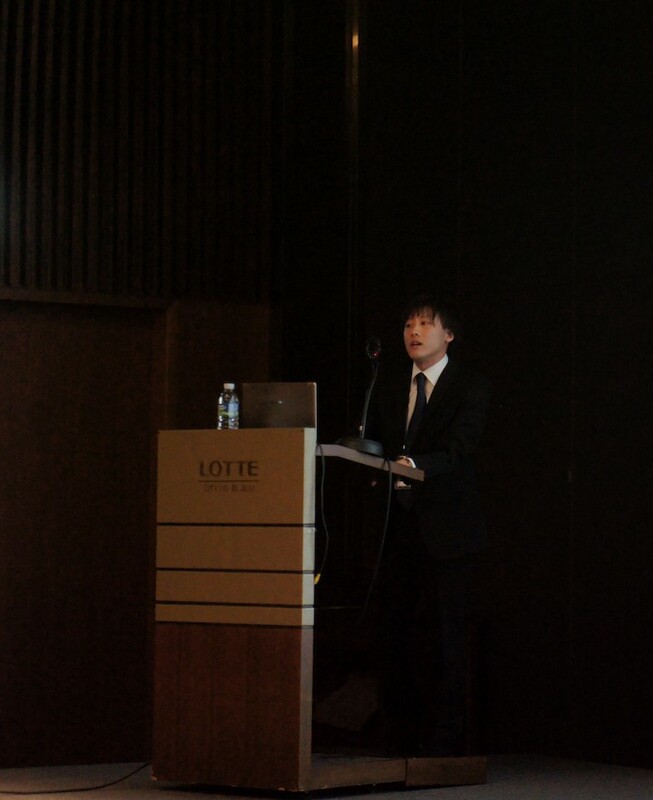 Finally, I would like to express my deep appreciation to Prof. Ueda, Prof. Park and all A3 organizers.